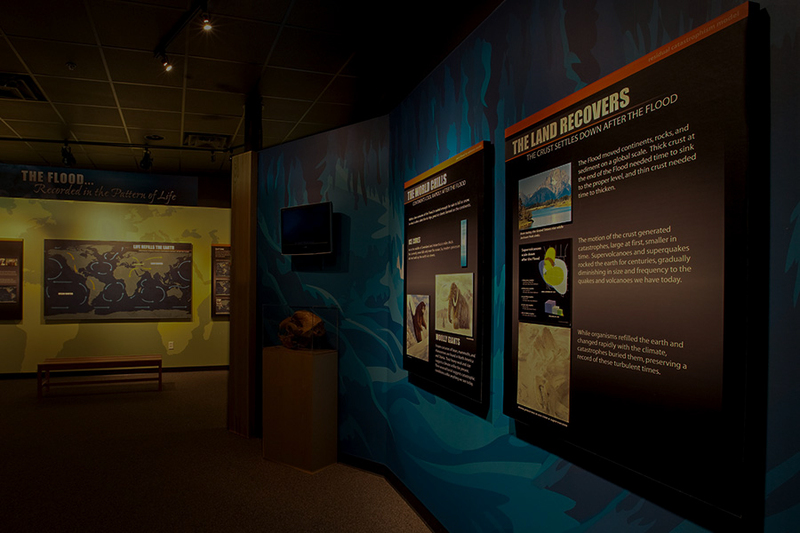 During the year of the Flood, the ocean waters picked up plants and animals on the land and buried them in sequences of mud and sand layers where they became fossils. The Flood left behind layer upon layer of rocks and fossils in the present, spread right across continents. We even find huge numbers of fossils of sea creatures in the layers, including on what are now the tops of mountains all over the world as further indication of a global catastrophe when the ocean waters totally flooded over the continents. We can see rock layers deposited on a small scale after rain in our backyard. Occasional catastrophes, like the volcanic explosion of Mount St. Helens in 1980, produce similar rock layers, but on a larger scale. Around the world we find rock layers spread across continents on an even larger scale. It’s reasonable to infer a similar but much larger catastrophe. From Rodinia to Pangea to the continent configuration we have today, the catastrophic processes during and soon after the Flood would have drastically rearranged the earth’s land distribution. Then the retreating waters would have also eroded and moved sediments to create today’s varying landforms. 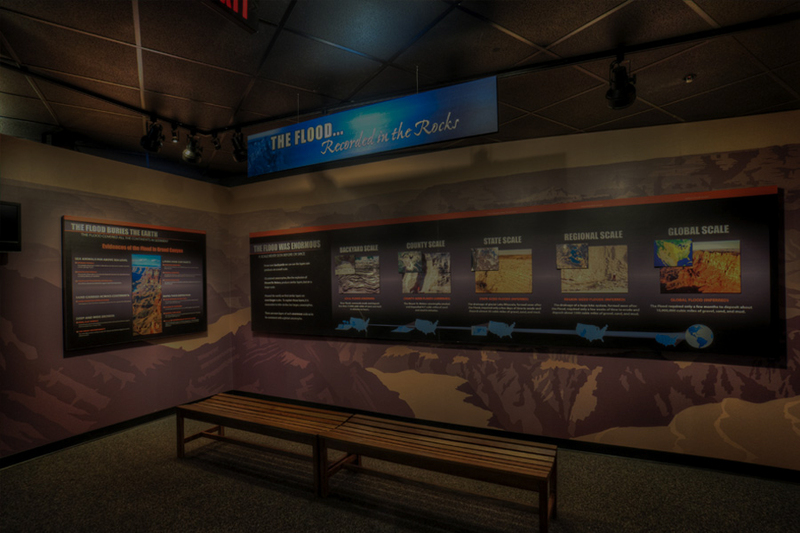 Find out how mountains, rivers, and canyons were formed at the Creation Museum. Most animals and plants probably lived on a vast supercontinent before the Flood (Genesis 1:9). The first sediments deposited by the Flood would have covered and fossilized some of these animals’ footprints, and then many of the animals’ bodies would have been swept away, buried, and fossilized. How many ice ages were there? If the Bible is true about Noah’s Flood, then why doesn’t it talk about an ice age? Actually it does! But why do biblical creationists think there was only one? When would that Ice Age have occurred? Find out how climate conditions after the Flood were just right to cause a global cooling. God commanded Noah and his family to leave the Ark so that the animals and people could multiply and fill the earth. But how did all of these living things get from the Ark’s landing place on the mountains of Ararat to the other continents now on earth after the Flood? Come find out!